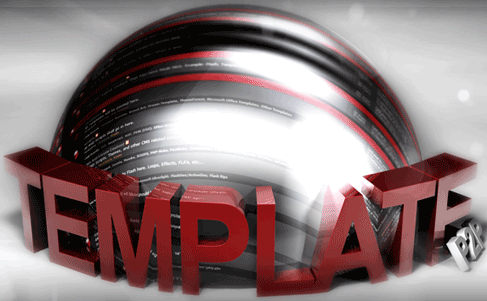 TemplateP2P is one of the biggest community with a focus onsite or blog templates and themes, where members share templates, themes, photographs, boxed arts, graphics, images, icons, fonts, vectors, wallpapers, scripts, 3D, animations, audios, videos, plugins, add-ons, extensions, and other HTML or CSS stuffs, mainly for illegal warez purpose. Though the TemplateP2P has the P2P in its site name, it’s not a torrent tracker, but forum where most of the files available is hosted on file sharing or file hosting website, and less on peer-to-peer protocol such as BitTorrent (BT). Registration to be a member of TemplateP2P is by invitation only, where an invite key code has to be provided to start the registration process. An invite code can be gained by donation to TemplateP2P, but if you willing to pay, chance is that you probably won’t be looking to join TemplateP2P. Summer 2011 is a chance to sign up for a TemplateP2P account which should not be missed, as TemplateP2P is having its Summer Open Sign Up 2011, where no invite code is required to register for an account. The last time open registration available was during end of year holiday season from December 25th 2010 to January 1st 2011, making the open sign up a biannual event. So if you miss the free open sign up again, you probably have to wait until end of the year for the chance again. The Summer Open Sign Up 2011 will start from Friday, May 20th 2011 to Sunday, May 22nd 2011, where its server time is based on CDT (UTC-4). Still looking for invite code? No, you don’t need one. Just head to http://templatep2p.com/forum/index.php?action=register to register for free during the open sign up period. Free registration is now live until Sunday.